It should surprise no one that in the radicalized Democratic Party of 2019 disgraced Reverend Al Sharpton is a major power-broker. 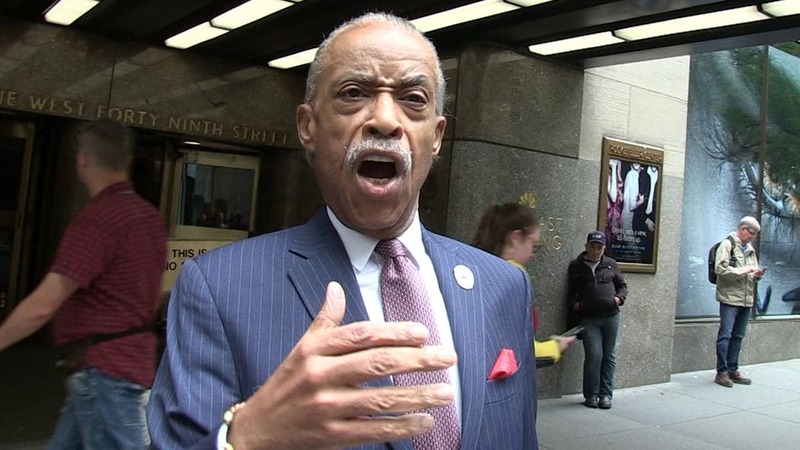 His influence has been on display this week as many of the major Democratic Party presidential candidates attended a convention sponsored by the National Action Network, a “civil rights” organization founded by Sharpton. The list of attendees included Senators Amy Klobuchar, Kamala Harris, Kirsten Gillibrand, Cory Booker, Elizabeth Warren, and Bernie Sanders, as well as Congressman Julian Castro, former Congressman “Beto” O’Rourke, former Colorado Governor John Hickenlooper, and South Bend Mayor Pete Buttigieg. Democrats view Sharpton as an African-American leader with a huge following across the country. Instead of being regarded as a major figure in the party, Sharpton should have been shunned many years ago. In 1987, he advocated the cause of Tawana Brawley, a young girl who claimed she was raped by a group of white men. She also maintained that she was smeared with feces and had racial slurs written all over her body. This outrageous hoax should have forever banished Sharpton to the political sidelines. Instead, he has been conducting his racial shakedowns ever since and given a national media platform with a syndicated radio show and an MSNBC television show. It is unclear exactly how Democrats foresee reparations being paid. A bill by U.S. Representative Shelia Jackson Lee (D-TX) calls for “recommendations” on payments along with “an apology” to African-Americans. Several of the leading Democratic Party candidates, including Gillibrand, Harris, O’Rourke, and Booker have endorsed the bill. Before the next election, let’s hope African-American voters will examine whether Democrat elected officials in office all over the country, regardless of their fiery race-baiting rhetoric, are actually enacting policies that are creating better living conditions in the major urban areas of the country. Today, almost all of the cities with the highest rates of crime and poverty, such as St. Louis, Baltimore, New Orleans, and Chicago, are controlled by Democrats, who exacerbate these problems with their disastrous policies. Instead of accepting responsibility for such catastrophic results, Democrats usually blame Republicans and institutionalized racism as the true culprits. This current push for reparations is another example of what Democrats always do to generate support at election time. Rather than offer strategies to improve the plight of African-Americans such as initiatives that will produce good paying jobs and more opportunity for business growth, Democrats advocate policies like reparations that will create more racial division and economic misfortune for millions of Americans. Such an idea is ludicrous for many reasons. Americans living today should not be financially penalized for morally reprehensible actions of previous generations. Poor and working-class white Americans should not be forced to pay reparations in a scheme to improve the financial situation of African-Americans. Along with the racial discrimination involved in the proposal, it is also patently unfair. No white American living today has ever owned a slave and no African-American living today has been a slave, at least not in this country.